With strong competition among property buyers who are keen to secure 2, 3, 4 or 5 bedroom properties in the area, East Renfrewshire showed the highest average property prices in 2017 at £252,870, with a 4.5% increase on 2016*. Overall the market has started well and remains buoyant. 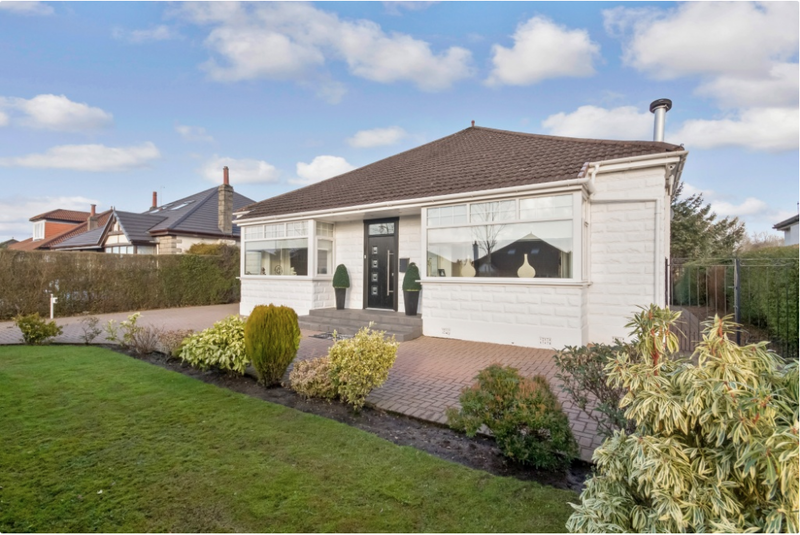 In many areas, particularly East Renfrewshire, we have seen a shortage of property with demand outstripping supply, resulting in more closing dates and premium prices been achieved and, in some cases, the highest prices achieved in many years. We have many qualified registered buyers keen to purchase with flexible entry dates. 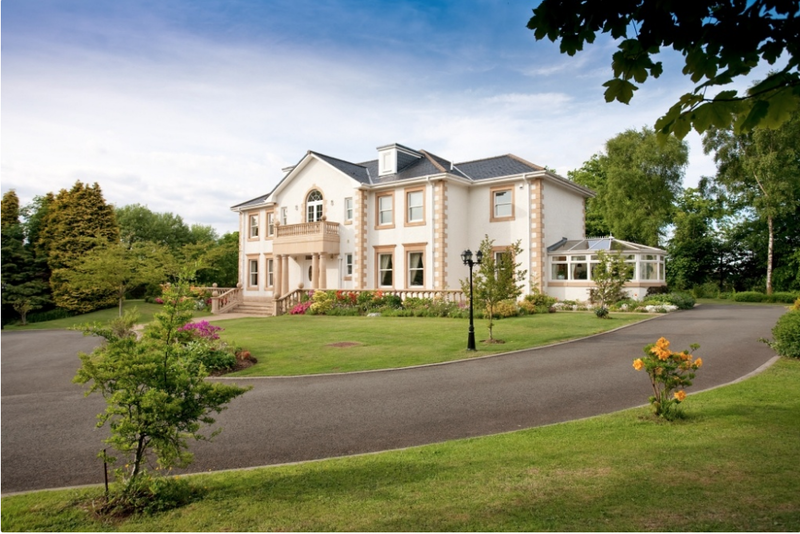 Here are only a few of the properties currently in our books. 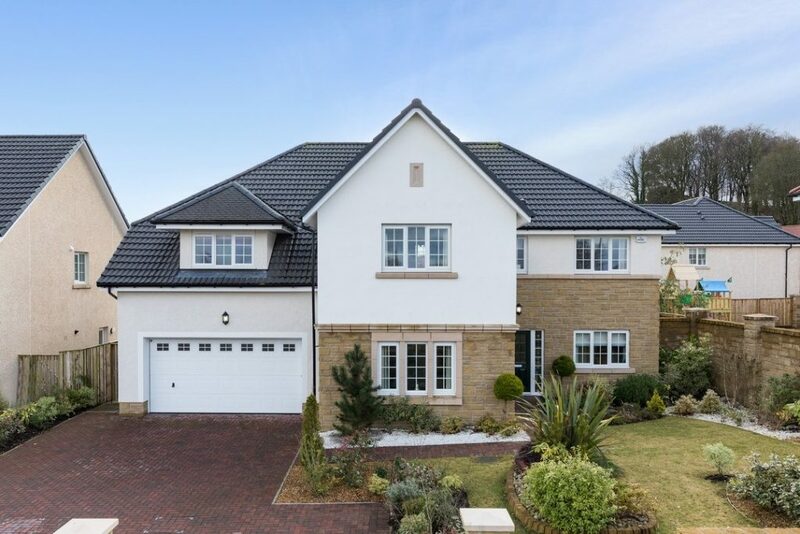 Busy, growing families will love this modern five bedroom detached villa positioned within the sought after Queens Gait development by Cala Homes, located in Mearnswood Lane. 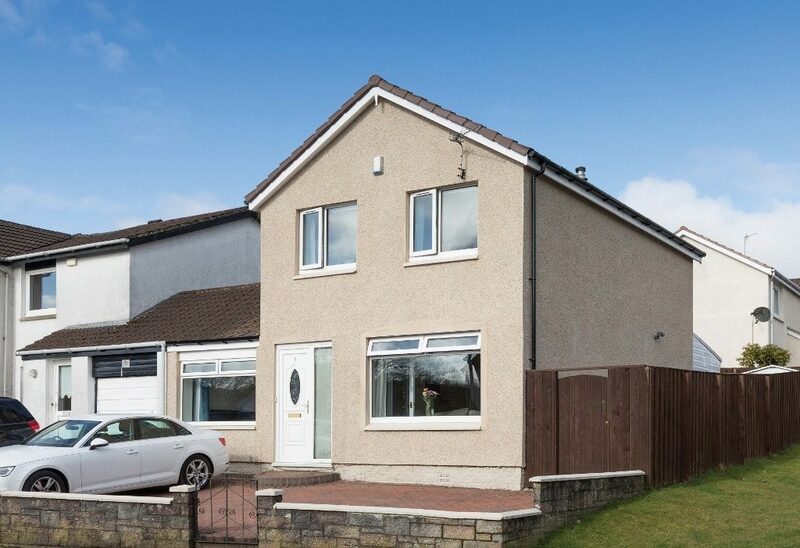 The property offers open aspects to front, yet is only a short distance to Mearns Cross and The Avenue shopping centre. This former show home is well designed for family living and has been brilliantly maintained over the years. Pollok Castle is a gated detached residence located within the historic Pollok Castle Estate, set within extensive, private and picturesque grounds, accessed by tree lined drive, commanding views over the surrounding countryside, Glasgow and hills beyond. 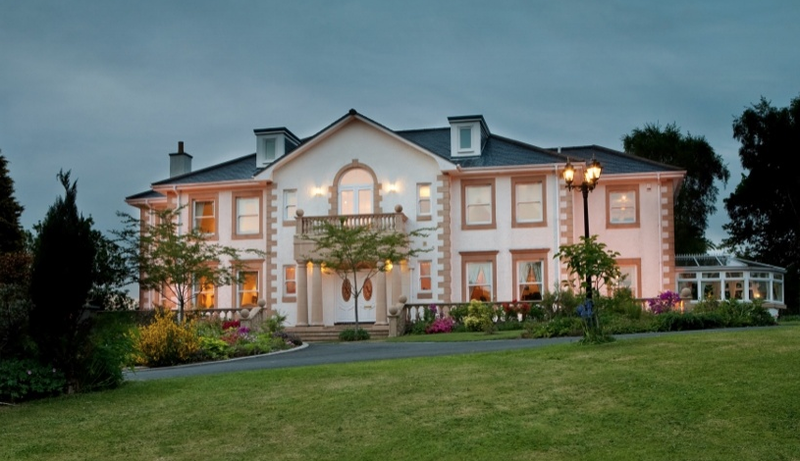 Designed by Manor Kingdom in 1998 and completed in 2003, Pollok Castle is custom built detached family home in the distinctive Scottish ‘Adam’ Style design, as was the original Pollok Castle. A truly unique home inside and out. As well as a beautiful interior with an array of exceptionally comfortable living spaces, there are several outhouses including a guest apartment and garaging for 3 cars. 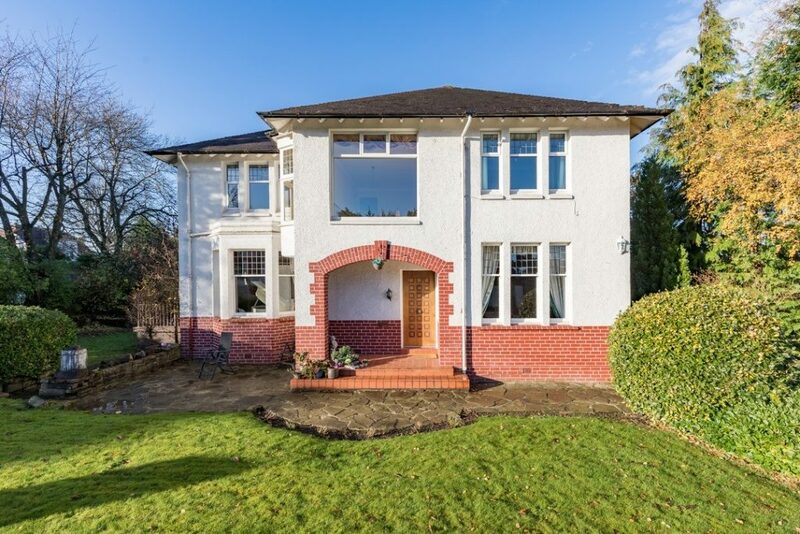 Seldom available, a substantial family home affording well appointed accommodation retailing much of its original character, enjoying a quiet and sought after location close to Rouken Glen Park and Whitecraigs Train Station. Lower Whitecraigs and Giffnock are acknowledged for its standard of local amenities and provide a selection of local shops, supermarkets, restaurants, regular bus and rail services to Glasgow City Centre, banks, library and health care facilities. 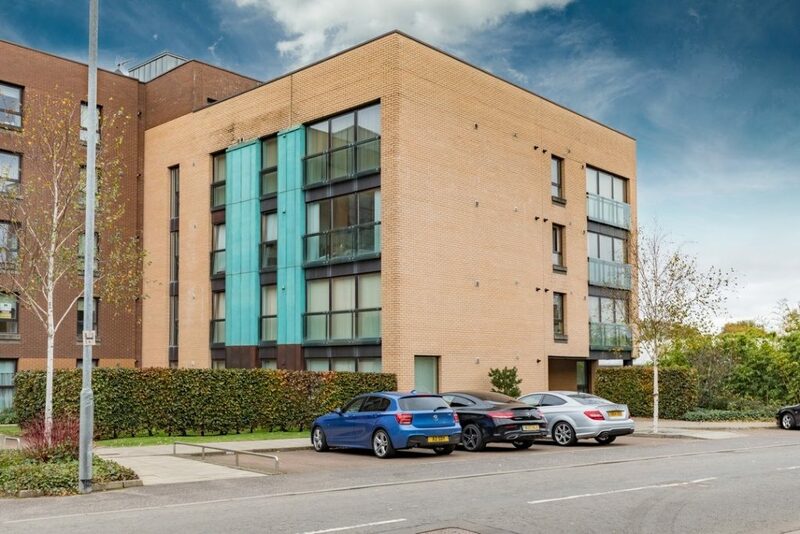 In total, the accommodation extends to approximately 2,679 Sqft (249 Sqm) and provides flexible accommodation, arranged over three floors, well designed for family living. A beautifully presented three bedroom detached bungalow, located in close proximity to local amenities within the surrounding area. 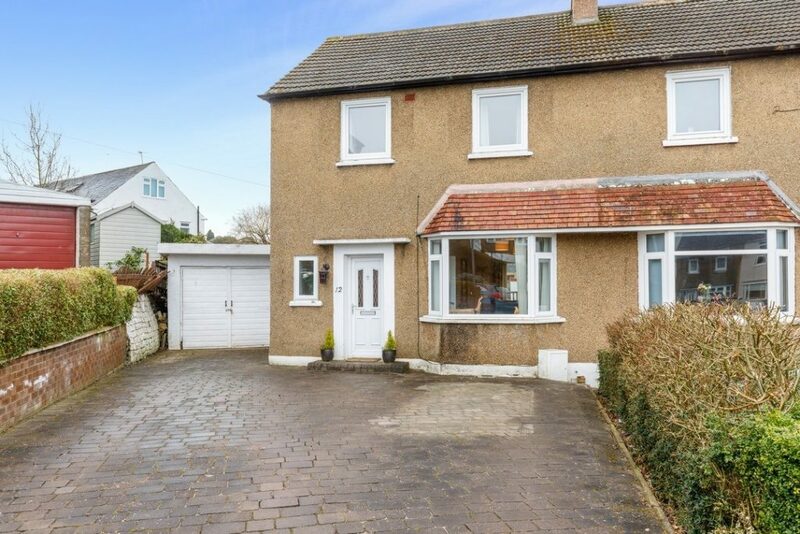 Set behind electric gates, the front elevation of the property belies the spacious and flexible layout internally which has been sympathetically upgraded and modernised by the present owners. A well presented four bedroom detached villa, set within this popular and established development, close to local amenities and services. Internally the property has been well maintained by the present owner and provides flexible accommodation, well-proportioned throughout. A well presented two bedroom semi detached villa, located within continually popular area, set within well-kept garden grounds. Sunnybank Grove, is located just a short walk from public transport, local shops, post office and health surgeries on Clarkston Toll and Busby Road. The property has been well maintained and the flexible accommodation is arranged over two levels. Seldom available, well presented and spacious two bedroom ground floor apartment set within this popular and convenient modern development adjacent to Pollok Country Park. Secure controlled entry leads to a well-kept and illuminated communal carpeted entrance with elevator access to all levels. Didn’t find what you were looking for quite yet? Check our property listings here or get registered for updates so you will be the first to know when new properties come to the market with us.